What do you do when you lose your job? When your spouse betrays you? When the news of the world causes great anxiety? All of us deal with different difficult problems. The question is, how will we respond? 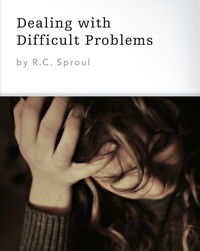 In this series, Dr. Sproul offers wise biblical counsel to help us as we face life’s difficulties, pointing us to the sovereignty of God and the sufficiency of Christ.